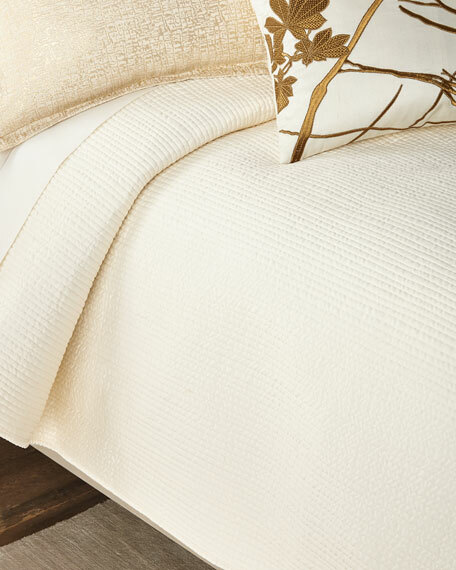 Basketweave embroidered leaf and branch detail. 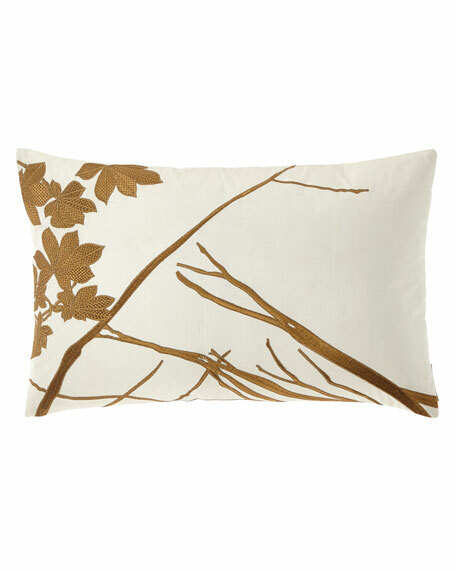 Lili Alessandra Leaf Decorative Embroidered Pillow, 14" x 22"
Lili Alessandra Caesar Decorative Pillow, 24"Sq. 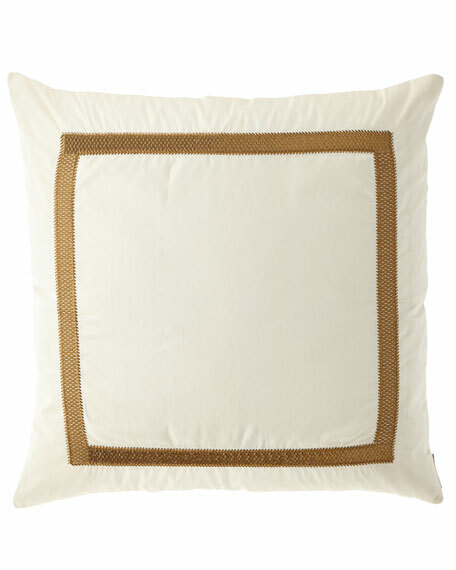 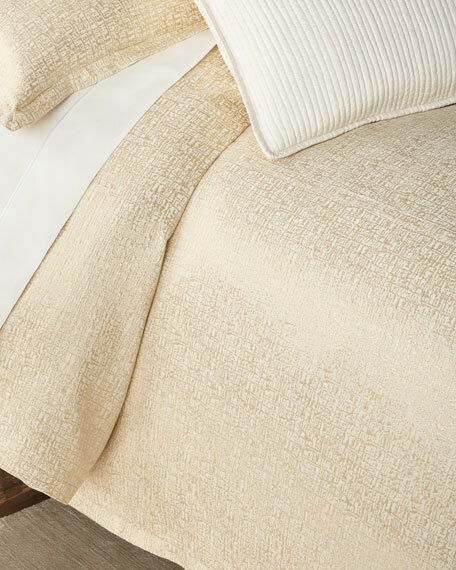 Decorative silk pillow with golden basketweave embroidery border. 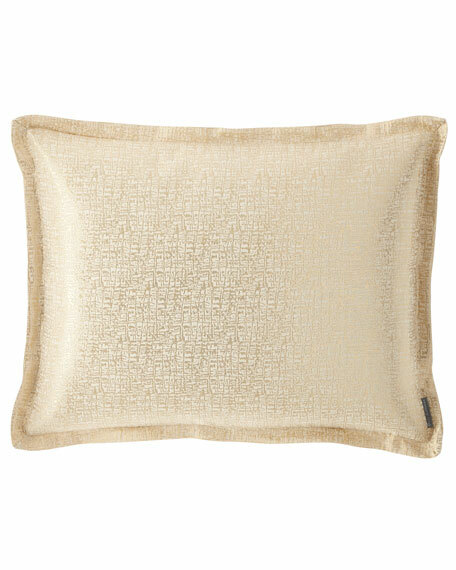 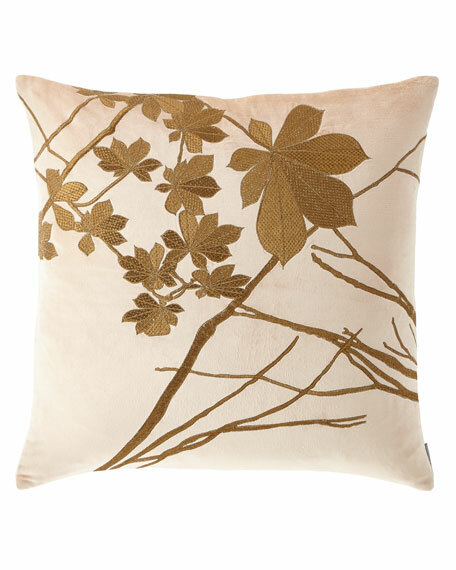 Lili Alessandra Caesar Decorative Pillow, 26"Sq. 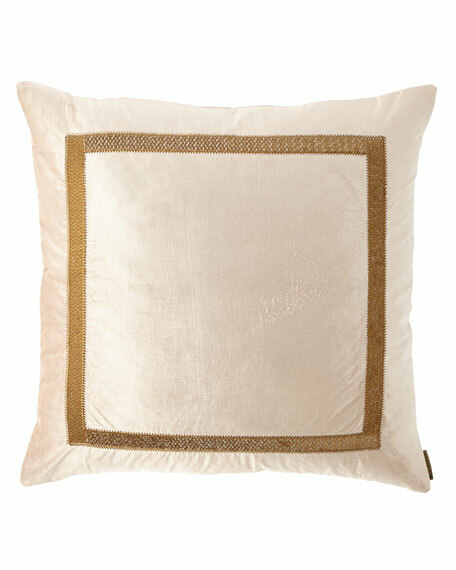 Decorative velvet pillow with golden basketweave embroidery border.